The water was bright, and as Sylva stood on deck with Eliza sitting near him, he felt almost no fear. Almost. He carefully reached inside his pocket and pulled out the letter, yellowed with the age of barely two years. TERROR MOUNTAIN, LIVE - Kuszemi: Greetings, fair stranger from yon! Welcome to the weekly Usul Appreciation Club, which is convened every Thursday. We don’t usually have guests here, but we are actively seeking sponsors for the Yoo-Sul Championship which we are hoping to attend this year, so here you are. Between you and me, I’m hoping to get some of those people at the Obelisk over to our side, I hear they have some good players. Anyway. There’s a plate of scones there on the table and I have a kettle of tea on the hob, so please feel free to help yourself. Brains Mortigan: (around a mouthful of what looks suspiciously like a Brains Muffin) Yoo, get on wi’ it, yer wastin’ brainlight. Garin: (snickers a bit) Yeah, and what’s with the fancy archaic speech?. 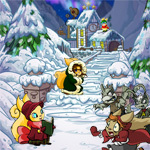 In many other Neopets games, you need about 40% luck and 60% skill. But for Mynci Beach Volleyball, it is 99% SKILL and 1% luck. That is why many people still struggle to get the avatar (you need a score of 800+ for that), let alone winning a gold trophy. Indeed, on reset day, even those winning a bronze trophy can’t reach this score. And I have found that many neopians with 300+ avatars still lack this game avatar. The reason why people never make it is they don’t know the techniques and tricks of this game very well. You just can’t sit in front of computer hoping for luck in this game because every point, which can last for minutes, is won by hard work. You don’t guess or wait for the high-scoring neggs to finally show up after endless attempts. It’s all about skill and hard work. Being new and trendy always sounds like a good idea in any environment. That’s why we make new main accounts, get a cool new username, and transfer all of our most valuable treasures (from pets to potions and everything in between) to the new account. There are a few things that aren’t transferable, and those things aren’t always worth that new username! A golden morning gave Cadria faint hope that summer was fast approaching. May had come and gone with some frivolity; the temperatures had warmed considerably but had remained altogether unimpressive. Spring was lovely – quite lovely – but Cadria simply adored summer. The potential for troublemaking increased tenfold in summer, she mused, and, perhaps more importantly, one could go adventuring without a jacket. Cadria winced as her mother’s voice wafted through her awakening haze – ‘Cadria! If you think you’re leaving this house without a warm coat, you have another thought coming, young lady!’ Cadria knew from a tepid mixture of eavesdropping and bribery that her mother – meaning the best, of course – was considering hiring an advisory companion to keep her daughter in check. The very memory caused Cadria to flounce back onto her silken sheets in something of a huff. Eventually, having been brought a rather delectable cup of earl grey with lemon and honey, Cadria decided to prepare herself for the day ahead. She was meant to accompany her parents to Meridell, where they had been invited to yet another medieval faire in the castle courtyard. Cadria sighed as she examined her wardrobe. She had been to hundreds, thousands of medieval faires in Meridell. They were almost a constant feature of the city, and while they were not entirely without merit – Cadria always enjoyed showing off her talent with a bow, much to her parents dismay – they were simply boring to the high society troublemaker. Excerpt from the Origin of the Wraiths: What is known about the Wraiths remains arbitrary. Imbalance gave birth to their existence, endearing Chaos to reign over the weak. The object of her design being destruction; thus the world fell, and she exerted her dominion over it. Our finite understanding can only conclude this: where Good existed, Chaos also had her separate principalities, just as it was since the beginning of Time. --- Professor Thierra sifted through the miscellany mess of papers on her desk, glancing up at Aleha in-between scribbles. The movement of the room was still for the present time; Aleha modestly preoccupied with her books and Thierra contemplatively preoccupied with her papers and Aleha. After a series of glances, each one increasing with concern, Thierra set her clutter of papers down and addressed Aleha directly: “Aleha,” pursued the sorceress. “Is your mind caught on something?” Aleha snapped out of her perturbed daze and turned her countenance to the teacher. “Sorry, I was just thinking about other things.” “Well, if your mind isn’t on your studies, then there’s no use wasting the energy—let’s have a break,” said Thierra, shuffling the array of papers into a battered desk drawer and shutting the entrapment with a soft ‘clack’. Thierra’s pensive eyes retained a look of unrest; it hadn’t been the first time she’d seen Aleha so detached from her work. This detachment had carried on for several weeks. I am a restocker. Restocking remains to be by far the most noble and respectable profession in the wide world of Neopia. Restockers engage in a constant battle. We battle the shopkeepers, we battle the market, and, in those late nights spent waiting for the perfect stock, we battle fatigue. Sometimes, I walk away victorious. With bountiful profits in my pockets and exciting memories in my mind, I waltz unscathed away from The Magic Shop. But nearly as often as I best the shopkeeper, they happen to best me. Thus is the life of the melodramatic restocker. The Elusive Draik Morphing Potion The rumors have always been prevalent. 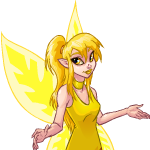 Even in my humble beginnings as a seeker-of-fortune in the world of Neopia, the murmurs have always been afoot. Varying from a quiet whisper to a deafening crescendo of nervous mumbling, the community has always vested in restocking a profound interest in the possibility of a Draik Morphing Potion. I never believed the rumors; there was no way that a single restock could return such a monstrous profit of over six million neopoints. I never believed the rumors until the fateful day that my path crossed the path of the Elusive Draik Morphing Potion. It had been a long night. I had seen potions come and go, and garnered for myself quite the collection of unique potions. I had considered retiring to bed for the night, but the nagging voice in the back of my head beckoned me back to the computer. The magnificent Kau shopkeeper, Kauvara, called me back to the shop with the glowing promise of more restocks. What do they do with all these items? Ever wonder where all the Thyoras Tears came from? Is your Neohome dull and in need of a makeover? Is your Neohome sad? Well, fear not Neopian because you are about to read an amazing guide on how to turn your drab, dull and dusty Neohome into a bright, sparking and happy Neohome! “So... what's happened to Cog?” he asked. Fashion is more than just style and trends. Fashion is about creation and self-expression. Fashion is influenced by weather, culture, wars, and the economy. It is ever-changing and evolving, to appropriately suit our times. So you may be asking yourself where exactly did it all begin?